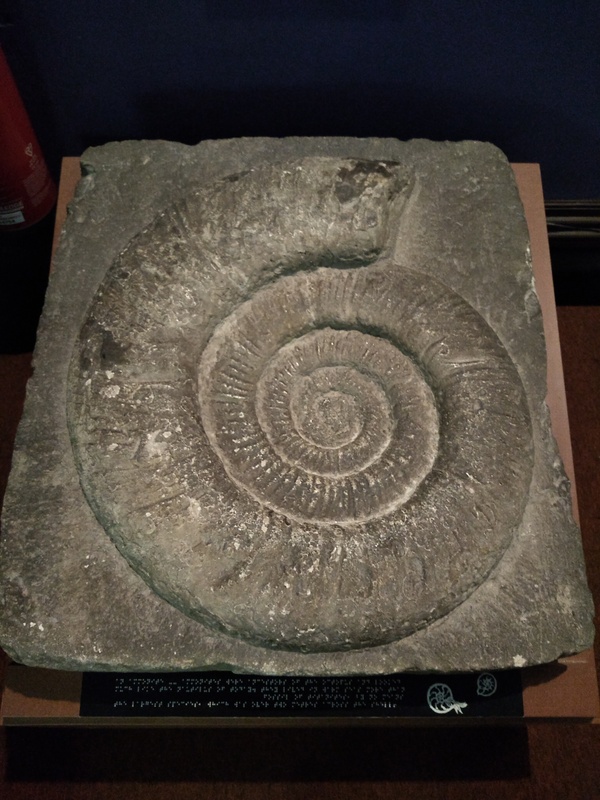 This ammonite, on display in our Time Ark gallery, lived in warm seas more than 100 million years ago. Ammonites were ancestors of the octopus and looked much like what a nautilus does today. This is a fossil of a Titanite, which was over two metres across the shell but was by no means the largest species.